Excellent article Alan! 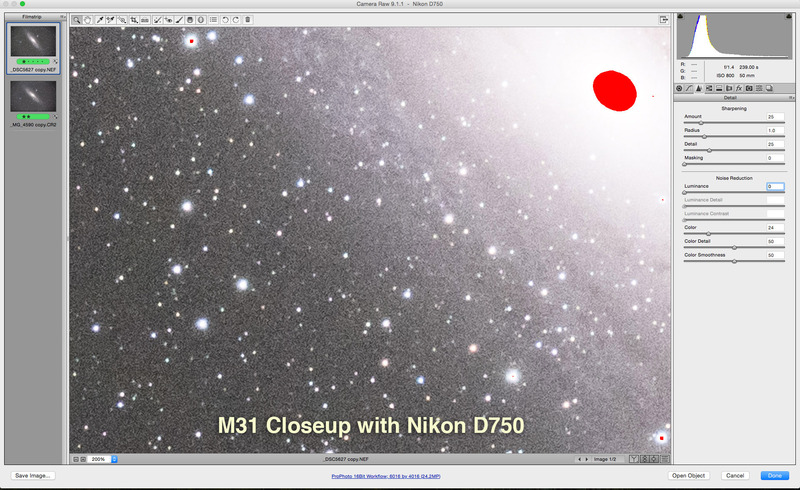 But I do see considerably more bloom around small stars with the Nikon D750 compared to the Canon 6D. Also more blue stars in the field… Is there something I’m missing? I’m a D7000 owner and trying to decide on my next upgrade. Have you used Back Yard Nikon or BYEOS? I was thinking of going that direction. 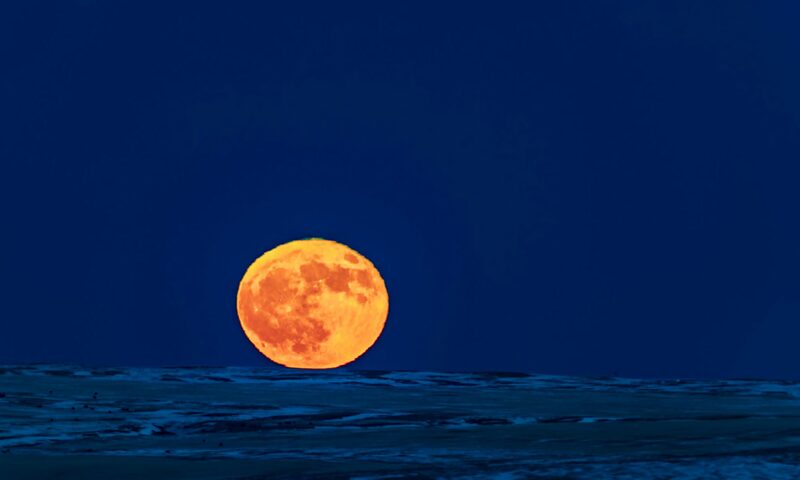 I think any difference you are seeing in the closeups is due to slight focus differences which can lessen or increase the chromatic aberration from the telescope. The fast apo I was using has very little depth of field. That’s what you’re missing. I’ve used BYEOS and it works but I find it crashes and for my purposes only makes operating a camera more complicated and more work, and less reliable. Plus controlling a Canon via a USB port (not via the shutter release port and an intervalometer) negates the dark frame buffer advantage of Canon full-frames I spoke about — the best thing about those cameras for deep-sky shooting, one that allows me to shoot the most accurate darks in camera and only take one and apply it to 4 or 5 images. Much more time efficient and better results. So why would I use BYEOS? But lots of people like the software and use it. I have not used the Nikon version. However, I’m all for keeping things simple at the telescope for most portable setups. Otherwise I see people spending all night getting their equipment and software working and never getting any photos. Magic Lantern is a very useful firmware for the Canon it has intervalometer built in also the Wifi feature of Canon 6D is a plus for operating the camera with Cell phone. I installed Magic Lantern on my 5D MkII, a camera it was supposed to be well-tested and reliable on, and it bricked it. I managed to get it back to normal. I don’t recommend it. 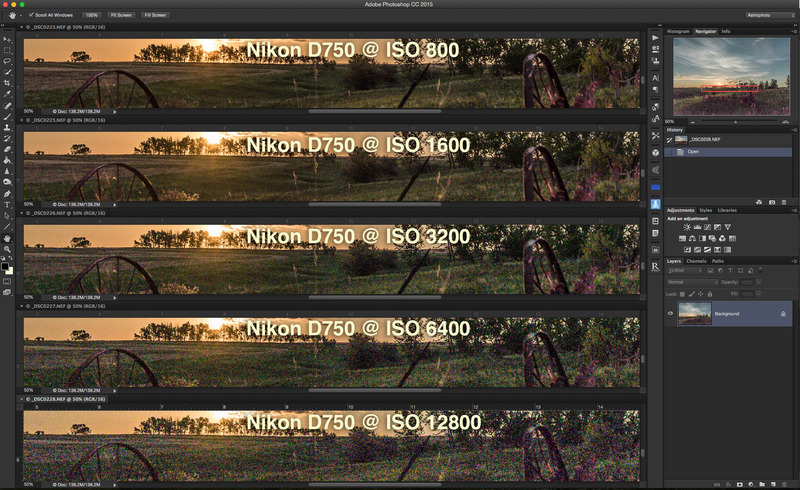 And the D750 has WiFi though I’ve not tried the Nikon wireless control app. The Canon one is very poor. 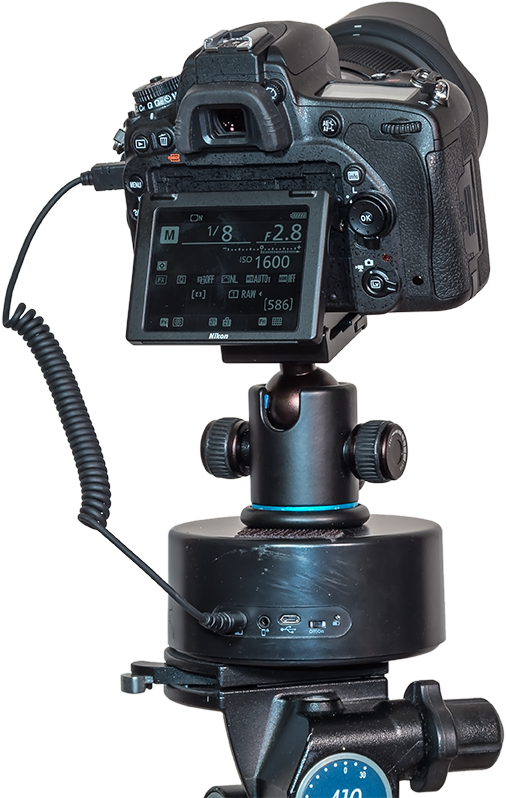 Advanced wireless control will be better done with qDSLR or the apps that come with motion controllers like a Radian or SYRP Genie. Canons are great. 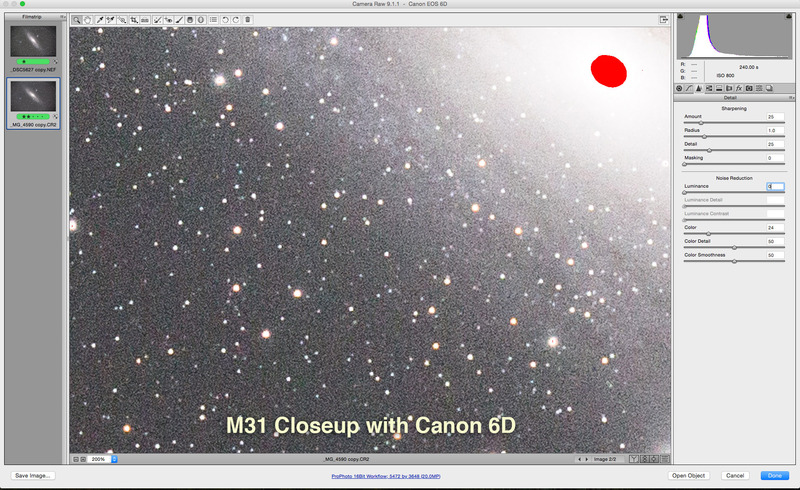 Canon just needs to implement ISO invariant sensors, which apparently they are beginning to do with the 80D. 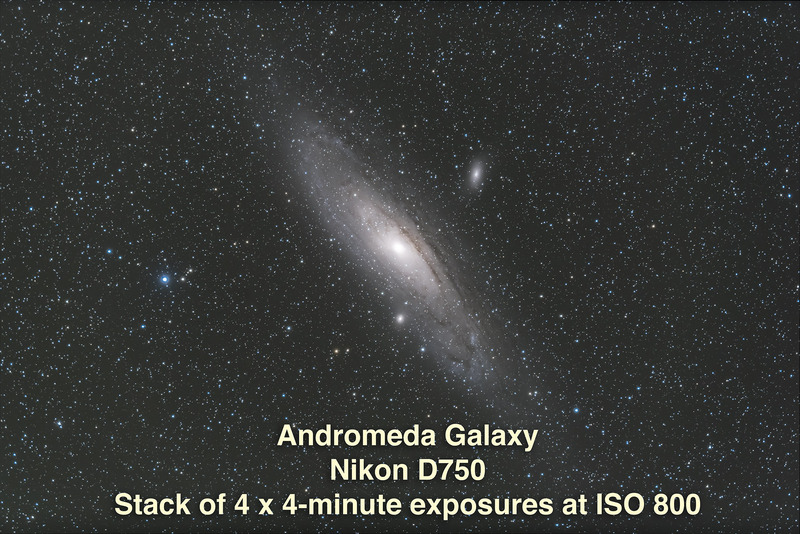 The difference can be significant for nightscapes when we often have dark underexposed shadows. Actually you can dim the screen of the D750 in LV mode. It’s confusing because if you set the brightness in the Menu screen, it only applies to menu operations, photo review, and camera settings. In LV mode, you need to press the “i” button on the bottom left of the camera. This will bring up a menu on the right side. The menu should have a setting for brightness which affects the LV brightness (you might have to scroll down). Kind of counter intuitive. 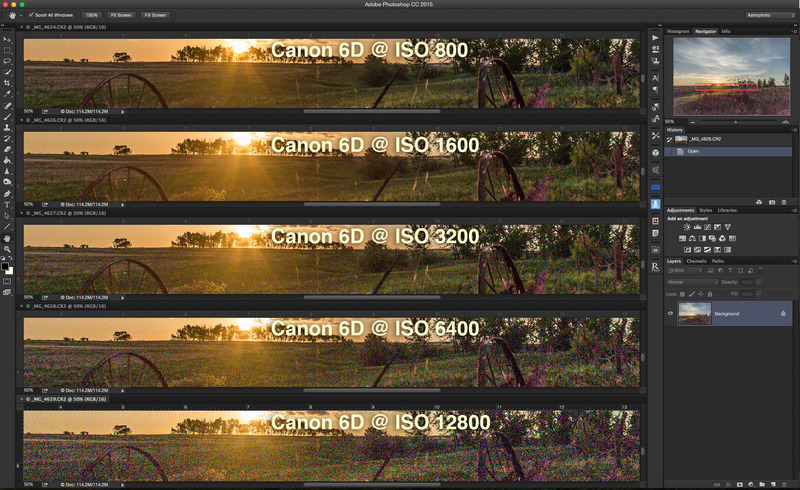 I have 2 D750s so I know this works for sure, just tested it! Yes, there is that well-hidden Brightness control when in Live View. Good point. But at night I almost always go to the next menu item down — EXP SIM — and turn that on. And now Live View shows you a beautifully detailed image of dark scenes, making it much easier to frame. But now there is no brightness control. I don’t find it an issue but some colleagues do. Alan, great article. I want to comment on the ISO invariance based on personal experience. I once lost a really good night’s images from the Davis Mountains on my old Canon 20Da because I accidentally set the wrong ISO. Those shots were completely unusable despite shooting in raw and heroic Photoshop efforts. 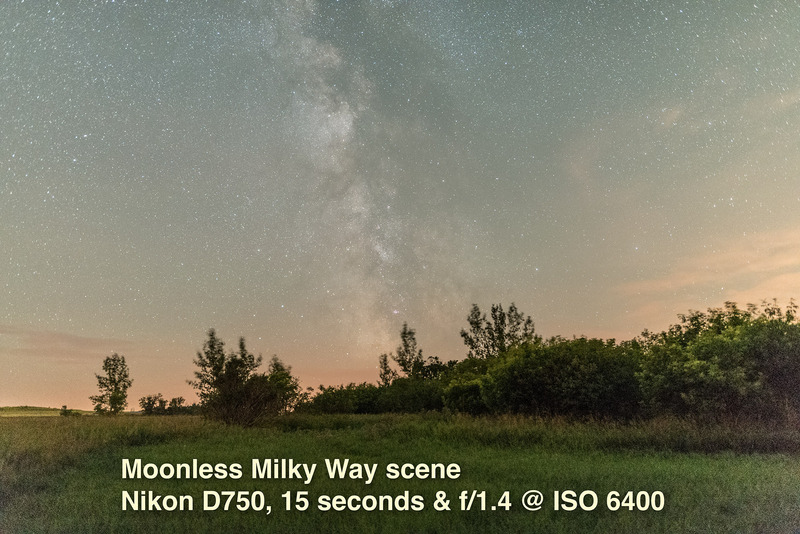 Several times I’ve accidentally shot time lapse images on my D610 and D750 at low ISOs, and totally recovered great images by adjusting the exposure. So I learned first-hand what the Nikon’s can do. While we can all agree there’s no problem if the correct ISO is used, in practice, we screw up. 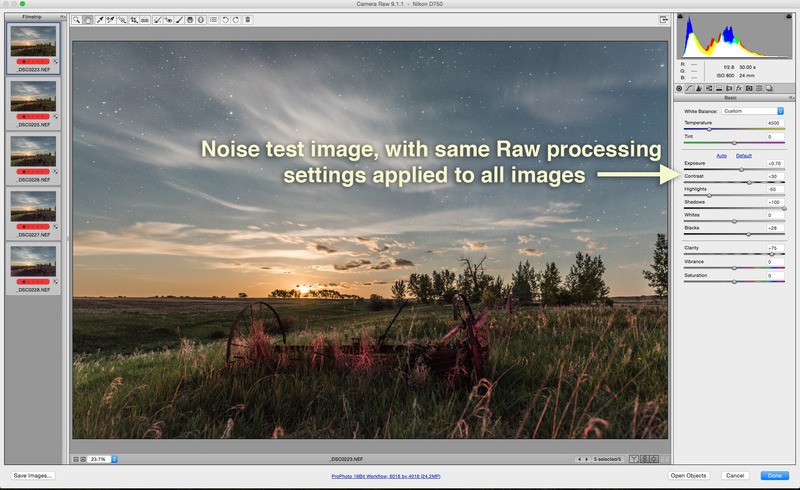 The ability to recover from the wrong ISO is a huge advantage. How is Sony compare with 6D? (A7r2, A7s2 )? If I get a Sony a7 I’ll certainly test it. Till then I don’t know. That’s $8000 worth of cameras you’d like tested! So would I! I wish blogs paid that well. I wish they paid, period! 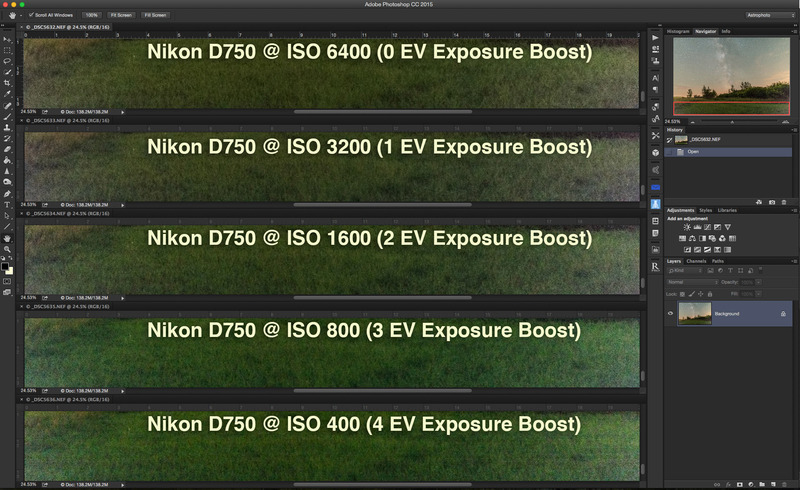 Is this true that the Nikon D750 cannot take 1 sec exposures even with an external timer like Vello’s Shutterboss? I see on ‘The Dancing Northern Lights’ that you did take 2 sec. exposures with the Nikon so i must be misunderstanding something. What beautiful images. I enjoyed looking at them all. Any Nikon can be set to take exposures up to 30s long internally and of any length using an external intervalometer. 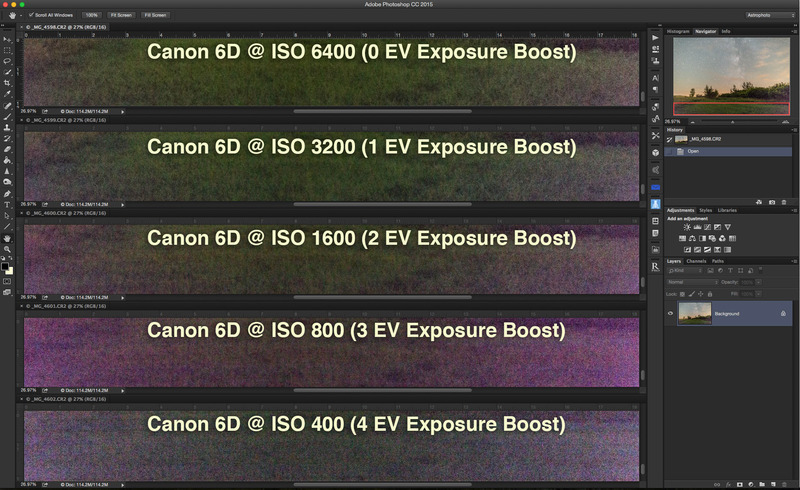 You might be asking if it can take exposures at 1s intervals. Yes, it can. I just tried it with a Satechi intervalometer. Thank you for checking. 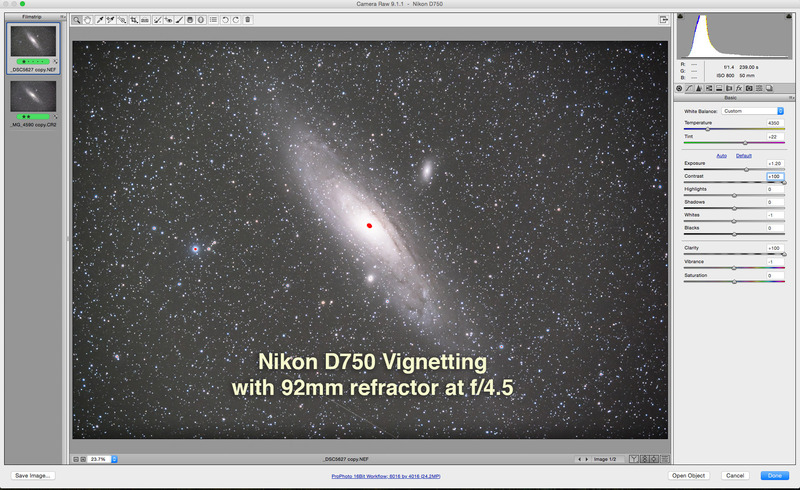 Does that mean that the Nikon 750 can indeed be used for star trails since you can tuse 1 sec intervals between frames ( using an external timer I presume)? Of course it can. And it can do 1s intervals when set internally but it sometimes requires setting an interval that’s 2 or 3s longer than the stated exposure, depending on what that exposure is. But long exposures set internally are often 1 or 2s longer than they state, so if you use too short an interval the shutter won’t fire again. I.e. 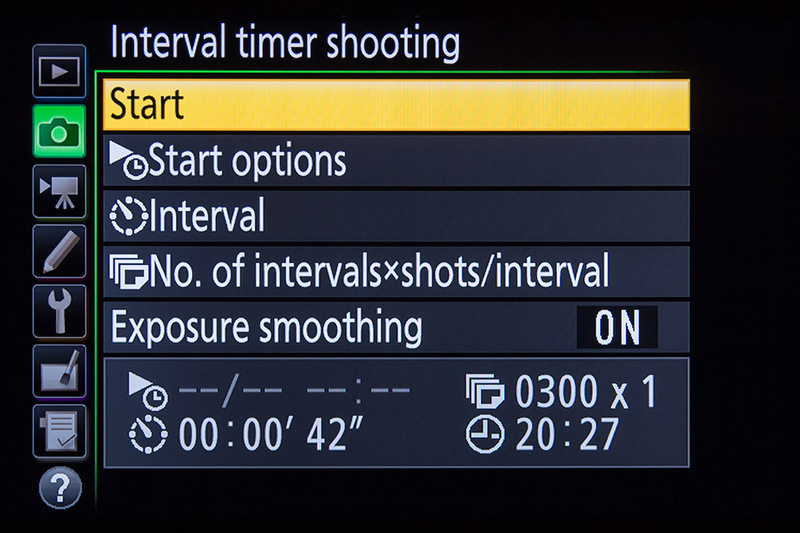 When using 30s exposures, set the internal interval to 32 or 33s and you’ll find the shutter will fire as soon as it can after each exposure ends. 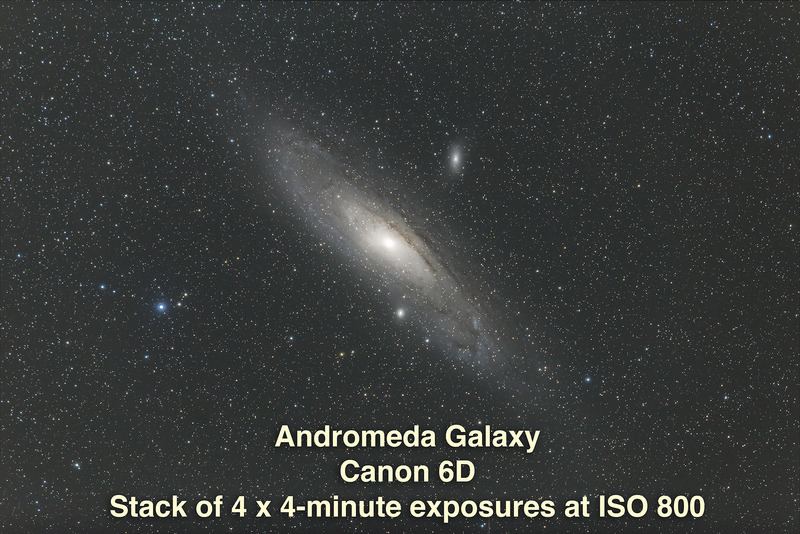 But each exposure is actually 31 or 32s long. I have a Nikon D5100 and a D610. I use digiCamControl for tethering. 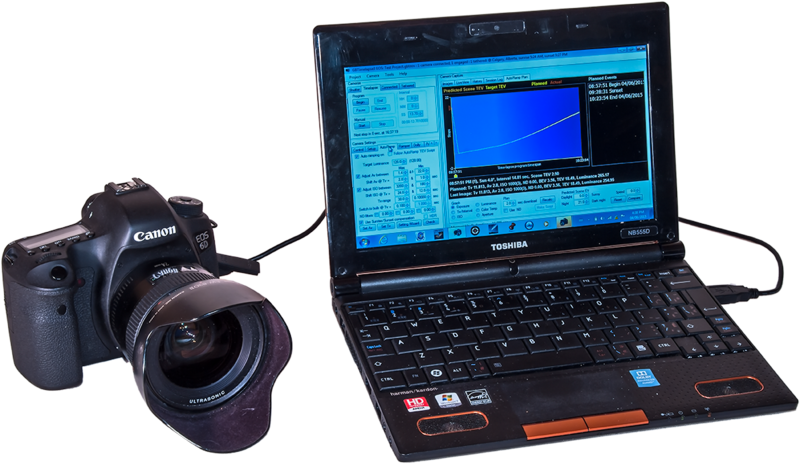 This free software has full bulb shutter control on the later Nikons, which have USB access for this purpose. Also, both cameras have monitor brightness control via the tools menu. Otherwise I found this article very useful. Thank you. But does the LCD brightness control dim the screen during Live View ? It doesn’t on the D750. And, yes, there are many software programs and hardware units that can fully control Nikons. But the two programs mentioned are very popular with unique features, but they do not work on Nikons. 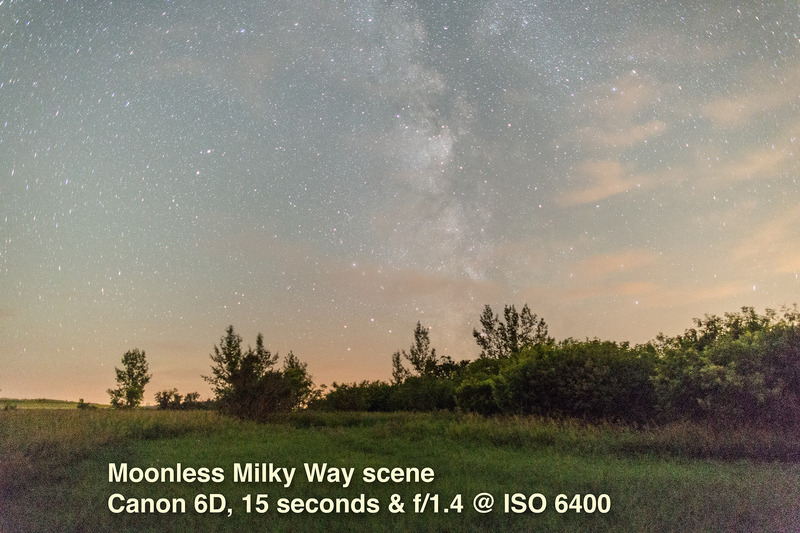 For example, GBTimelapse has capabilities no other program has for automating time lapse shooting. But it is only for Canons. Wow, very informative, thanks! I just had the opportunity to process an image from a Canon 5Ds and it is very impressive, too. Great work! 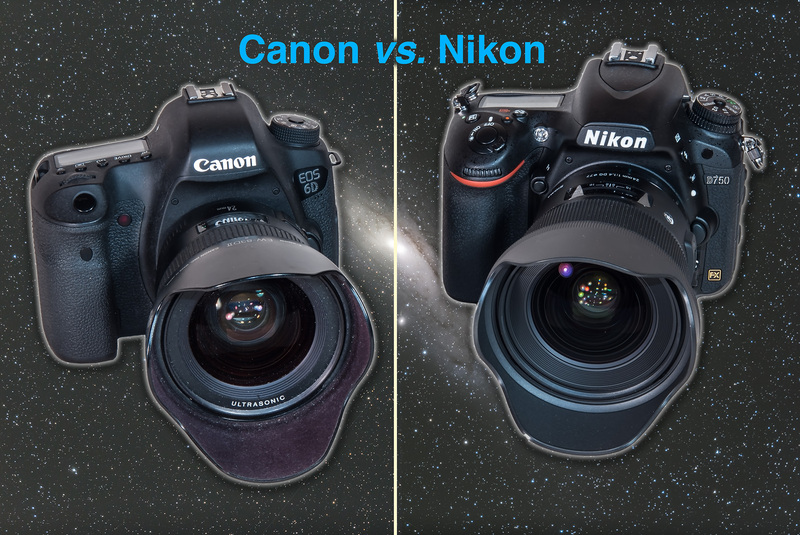 Thanks for the info… what do you think about the Nikon 810a, Sony A7S or A7RII? Loan me some test units and I’ll let you know. I’m sure they are excellent but who can afford them all?